We’ve been sent a media release from Stone Hill Park which we’re sure you’ll be interested in. Stone Hill Park (SHP) urges the public to demand answers of RiverOak Strategic Partners (RSP), as their six-week period of consultation starts on their plan to establish a 24-hour cargo hub at Manston. The dedicated cargo sector, being targeted by RSP, has declined over the same period. While RSP have submitted various reports on the potential of Manston, none of them address the facts of the situation or has provided any evidence of their ability to deliver a functional airport. Conversely, Stone Hill Park plans to regenerate the land that it owns with a mixed-use development that will bring jobs, homes, and leisure, while still securing and honouring the heritage of the site. SHP has already held extensive public consultation on the scheme, has submitted an outline planning application and is working with local councils to fine tune the proposals. These plans are real, deliverable and in progress. “Now another RiverOak has emerged, this time with 90% ownership registered in Belize, plucking figures from the air over jobs and future investment that promise much, but bear little resemblance to reality. The only thing they are experts in is delivering false hope. “The reality is that to stand even a slim chance of making a go of aviation, RSP will need to turn the site into a 24-hour cargo hub. Plans outlined by RSP’s research consultant Dr Sally Dixon envisage 72 flights day and night by 2040, along with hundreds of HGV trucks per week bringing in fuel and transporting goods. “They intend to apply to the Government for a Development Consent Order to seize the land from SHP in order to carry out their plans. RSP have never been clear as to who their backers are or where the £320 million required would come from, nor have they been open on issues such as night flights and pollution. “The plans outlined so far by RSP would, in our view, represent an economic and environmental nightmare for local residents. The public consultation events taking place over the coming weeks offer a real chance for residents from the whole area to put RSP on the spot. “SHP is confident that a DCO will fail because we own the site and our plans are economically, socially and environmentally in the interests of the public as a whole. In addition, we have the money and the expertise to deliver on our proposals and bring much needed homes and jobs to an area which is crying out for public sector investment. “On the other hand, RSP are putting forward a business plan that is deeply flawed and their over-optimistic forecasts will be fully exposed by qualified and independent experts over the coming months. Why is RSP unwilling to disclose any information about the investors behind the Belize registered MIO Investments that owns 90% of RSP? Who will be funding the estimated £320 million cost of establishing an airport? Is that funding in place? Given the well-publicised concerns about the lack of financial rigour and openness within Belize, why does RSP feel the Belize connection is acceptable for a Nationally Significant Infrastructure Project in the UK? Can the work of RSP’s consultants be considered independent? The Azimuth Associates reports have been prepared by Dr Sally Dixon, who was involved in master planning for Kent International Airport whilst employed by Wiggins Group plc between 2000 and 2002. What guarantees can RSP give that the demand for cargo operations at Manston is there, given the consistent failure of previous owners, including Wiggins Group PLC, when Mr Freudmann was a director, who quoted very similar forecasts in December 2001. Why does RSP’s business plan use Airbus’s global forecasts for air freight growth, which York Aviation (2015) state ‘present an optimistic view of the market, which is not specific to the UK’? Is a forecast growth rate of 4% per annum sensible, when cargo volumes in the UK have been flat since 2004? Why would freight companies relocate operations to Manston rather than use the better located and better-connected airports, such as East Midlands or Stansted airports, where there is significant spare capacity and existing cargo operations / infrastructure? Dr Sally Dixon forecasts 72 planes everyday (47 cargo) over Thanet by 2040. 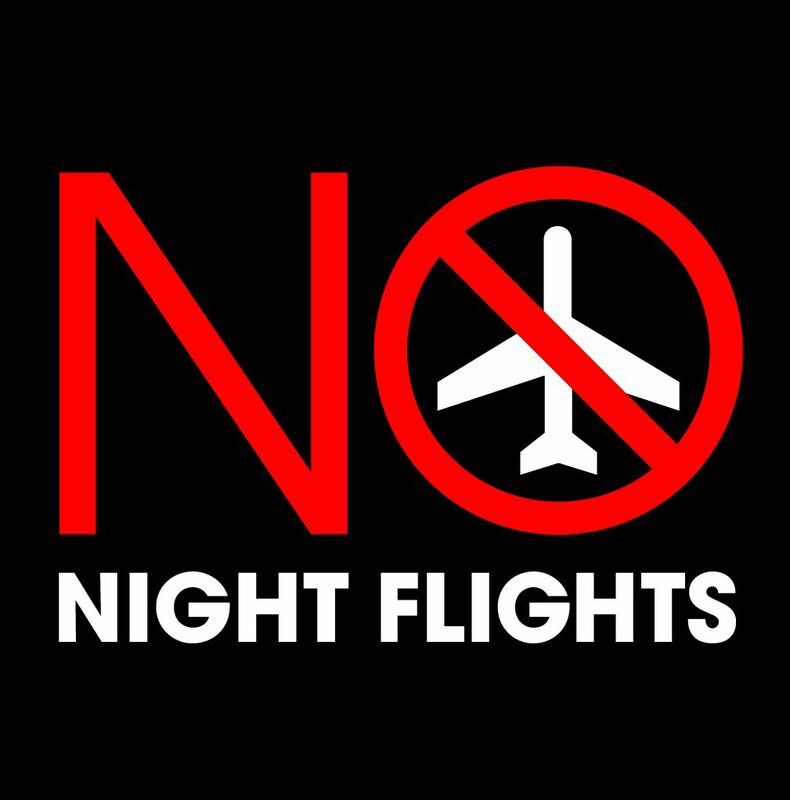 As cargo operators rely heavily on next day deliveries for express freight, how many of these would be night flights? What compensation does RSP intend to offer people whose homes and businesses are beneath the flightpath? Manston is not connected to the National Pipeline System,so fuel will have to be delivered by road. To fuel the number of flights RSP predict by 2040, plus re-fuelling the HGV trucks using the airport, how many fuel tankers a day will be using the roads to the airport? P17 of Volume III of Dr Sally Dixon’s report discusses transporting fuel into the airport by rail from year two of operation. Can RSP outline the route of this new rail line and fuel terminal, the timing/costings for building it and which homes in the area will be affected? The figures used by Dr Dixon, in her report, reveal plans for 172,000 tonnes per annum import of freight and 169,000 tonnes per annum export by 2040 (page 11/12 volume III). Including fuel tankers, how many trucks in and out of the airport does that equate to per day? What studies have been carried out with regard to the Environmental Impact of the plans – in particular, in terms of the impact of air and noise pollution on people and wildlife? What additional studies need to be completed before RSP can submit a DCO application? If RSP secure the land through a DCO, but fail to deliver their business plan, what will happen to the site? How many years of losses are RSP prepared to sustain before that decision is made? Is RSP’s real plan to eventually come forward with housing plans, as part of a mixed-use scheme? RSP claim 30,000 jobs will be secured eventually by a cargo airport. As the Azimuth Associates reports are extremely vague on these matters, can RSP explain how this has been calculated, in which sectors would the jobs be created and how many (or few) of these jobs would be located in East Kent? How does a cargo airport, with all the infrastructure and new buildings that will be required, honour the heritage of the site’s wartime past?